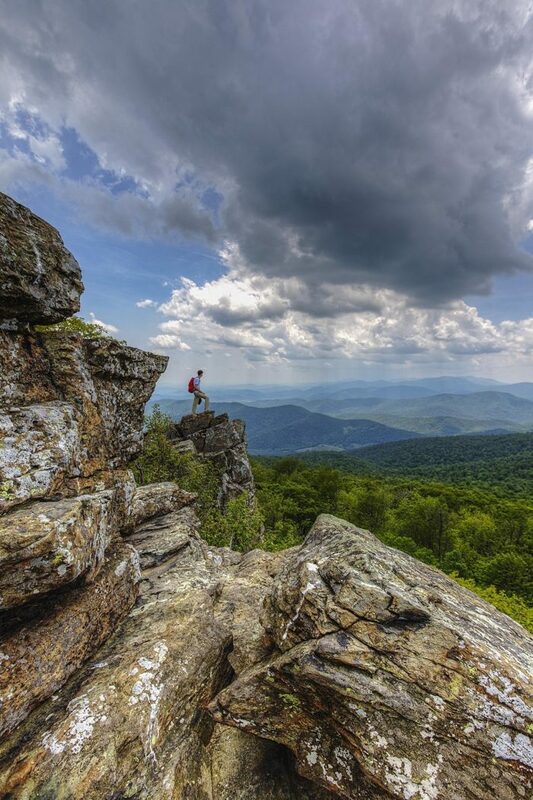 Within Shenandoah National Park you’ll find over 500 miles of hiking trails, offering you many opportunities to explore the backcountry away from Skyline Drive and the busy pedestrian highway of the AT. SNP’s North District is bounded on the south by US 211, near Luray, and on the north by the entrance station at Front Royal, Va. The Northern District is the closest to the population center of Northern Virginia and you can expect crowds on weekends and other peak periods. 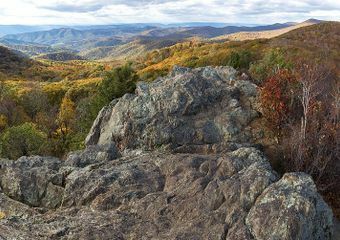 But get away from the bustle of Skyline Drive and you’ll find a variety of terrain, including hikes that follow old farm roads – offering a glimpse at the human ecology of the Blue Ridge Mountains before the creation of the national park. All of these hikes are accessed from Skyline Drive – check the SNP website for road conditions and current entrance fees. Any history of Shenandoah National Park wouldn’t be complete without acknowledging the displacement of the mountain people who lived and worked, and who were born and died, in what we now call wilderness. This hike takes you past the remains of two mountain homesteads that are disappearing back into the wild. In a few more years it will take a keen eye to see that they ever existed. To best appreciate the ruins, do this hike in the winter or early spring when vegetation doesn’t obscure the remains of these mountain farms. Park at the Dickey Ridge Visitor Center about a half mile north of MP 5. Cross Skyline Drive to a signpost that marks the trailhead and head left. Continue to the left when the Dickey Ridge Trail merges into your path. After a short hike, you’ll reach the intersection of the Fox Hollow Nature Trail – follow it downhill to the right. 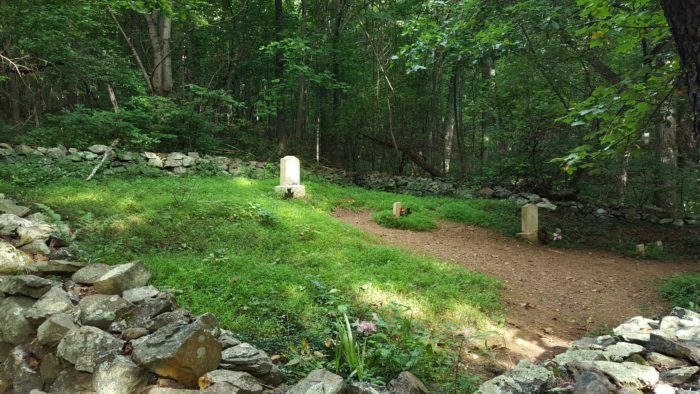 As you follow the Fox Hollow Trail you’ll pass rock walls, rock piles, foundations, and the Fox cemetery. The Fox Hollow Trail will cross a stream and begin back uphill. The wide trail provides evidence that you’re now following an old farm road – not uncommon in Shenandoah. 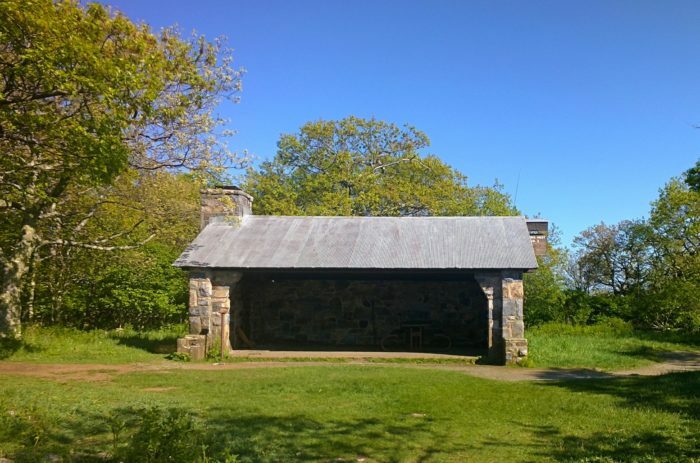 This pleasant loop hike provides an excellent opportunity for a break or picnic lunch at one of three day-use shelters named after Virginia politico Harry Byrd, an instrumental figure in establishing the park. One other shelter – Byrd’s Nest #3 – has been converted into an overnight shelter for backpackers. Park in a grassy area on the west side of Skyline Drive just north of MP 27. From there head south a short distance on a yellow-blazed horse trail until you reach the concrete signpost at the intersection with the Neighbor Mountain Trail. Turn left to follow the trail. You’ll climb gently up a ridge until you reach the shelter on the left. Take a break and break out your snacks (or a bottle of wine). From the shelter, pick up the access road that heads south until you reach a blue-blazed trail heading right. A short downhill will lead you to the AT. Turn right and follow the AT north. 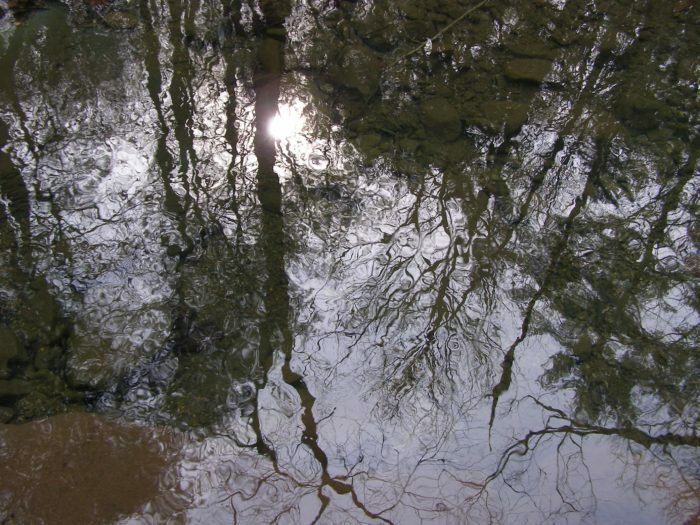 You’ll cross a somewhat extensive rocky area – proving once again that not all of the AT in Virginia is flat and easy – and then go over a gentle ridge. After crossing the Neighbor Mountain Trail keep on the AT and look for a trail branching right that will lead you uphill to the parking area. While this hike covers some distance, the topography is mostly gentle, making it a nice, long day hike. You can also split this hike in two and spend the night at Gravel Springs Hut, turning it into a good intro to backpacking or gear shakedown trip. Either way, you’ll enjoy some nice views from Mt. Marshall while on the AT and the quiet seclusion of the Bluff Trail on the return portion of the loop. Park your car at the Jenkins Gap Overlook between MP 12 and 13 on Skyline Drive. Cross to the west side of the road and take the Jenkins Gap Trail for a short stretch until you reach the AT. Turn left and head south on the AT. 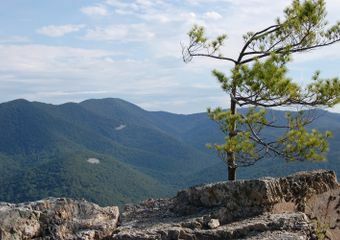 After hiking some rolling terrain, you’ll cross Skyline Drive and begin the steady ascent of North Marshall Mountain. You’ll enjoy a nice ridge walk at the top of North Marshall, with views to the west. After descending North Marshall Mountain, you’ll cross Skyline Drive and begin the ascent over South Marshall Mountain, with more nice views to enjoy. Following the AT, you’ll drop down to Gravel Springs Gap and cross Skyline Drive once again. After crossing the road follow the AT until you see the signpost for Gravel Springs Hut. The hut is a great place to take a break. If your plans include spending the night, be sure that you have your free permit, available at any of the entrance stations. From the hut take the blue-blazed Bluff Trail to the left. Continue straight and follow the yellow blazes when the Harris Hollow Trail intersects your path. When the Harris Hollow Trail departs, continue following the blue blazes of the Bluff Trail. You’ll follow the Bluff Trail through a mature forest until you intersect the Mount Marshall Trail, where you’ll turn left. Follow the side hill course of the Mount Marshall Trail until you reach Jenkins Gap to complete your circuit. This pleasant loop is great to do in conjunction with a stay at the Matthews Arm Campground at MP 22. It includes a great location for a snack break, plus a pleasant stream crossing. Be sure to plan ahead if you’re interested in camping at Matthews Arm – Shenandoah’s campgrounds are often full during the summer months. Check here for information about reservations. Matthews Arm Campground is an excellent base for day hiking a wide variety of trails in the area. From the campground, walk past the entrance station toward Skyline Drive. Look toward the south (right) side of the road for a concrete signpost marking the Elkwallow Trail. Follow the blue-blazed trail through open woods, across a wooden bridge, and along a level side hill trail. When you reach the Appalachian Trail, continue straight about a quarter of a mile if you want to grab a snack at the Elkwallow Wayside. After your refreshments, retrace your steps to the AT and turn left to go south on the AT. You’ll pass the Elkwallow picnic grounds and reach the intersection with the Jeremys Run Trail after a gradual descent. Turn right onto the Jeremys Run Trail and follow it downhill, eventually paralleling Jeremys Run. At the signpost for the Knob Mt. Cutoff Trail, turn right and rock hop across Jeremys Run. You’ll climb steadily up a series of switchbacks until you reach the Knob Mt. Trail. Turn right and follow this trail for about 2.5 miles to return to the campground.